New Adventures in Sound Art is a non-profit organization that produces performances and installations spanning the entire spectrum of electroacoustic and experimental sound art. 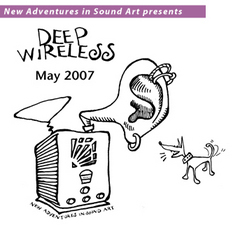 Included in its Toronto productions are: the Deep Wireless festival of radio and Transmission art (including the Radio Without Boundaries conference), the Sound Travels Festival of Sound Art and the SOUNDplay festival. For radio producers, radio artists and enthusiasts, The Radio Without Boundaries conference makes Deep Wireless an internationally sought after destination. "all commercials, all the time"